The SCMT10166 382 Piece Widebody Tool Kit is perfect for the apprentice or industry professional. Presented with EVA foam inserts for the ultimate in functional tool storage, this tool kit contains the tools you need to do the job in a 13 Drawer Widebody Roller Cabinet. 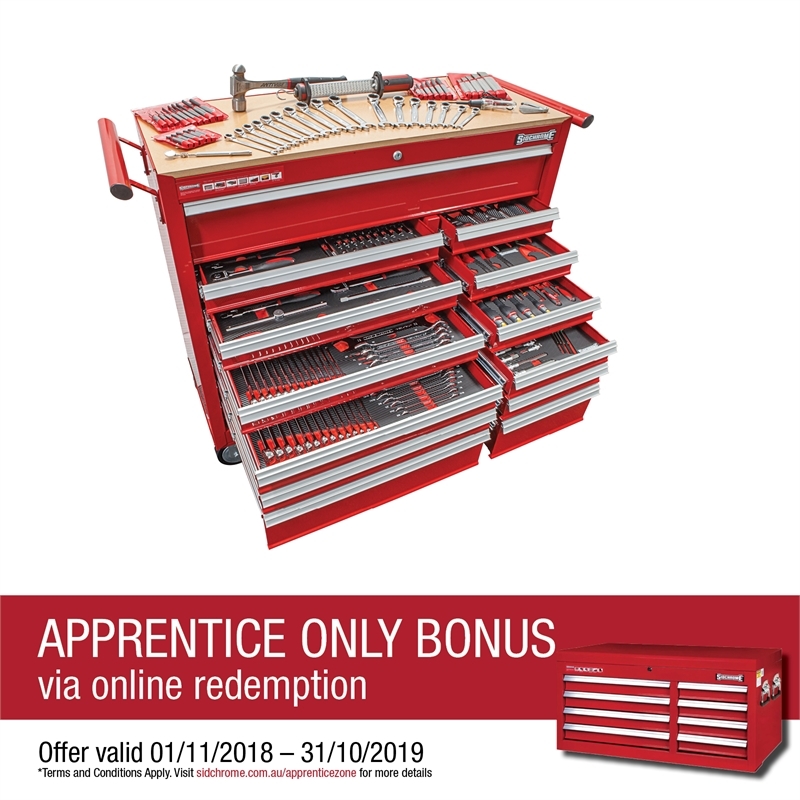 Featuring an extensive range of sockets in 1/4", 3/8” and 1/2" drive with Sidchrome’s TORQUEPLUSTM fastening system and 440 Pro Series ring & open end and 467 Pro Series geared spanners with Sidchrome’s TORQUEPLUS™, ANTISLIP™ and RINGSTOP fastening systems, this impressive kit is rounded out with inhex sockets, ring, open end & flare nut spanners, ProTwist premium screwdrivers and a large assortment of hand and automotive tools. This tool kit comes in professional-grade metal storage and is Built to Last a LifetimeTM. 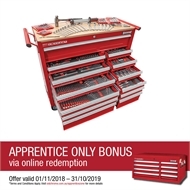 Sidchrome metal storage comes standard with 100% drawer extension for full access to tools, auto-return ball bearing spring loaded slides with soft close function, heavy gauge steel for maximum strength, rolled drawer edges to prevent flexing, drawer liners and heavy duty lockable castors. - TORQUEPLUSTM is a unique system that allows greater contact with the flats of fasteners, providing greater torque to make tightening easier, while reducing the risk of fastener rounding. - ANTISLIPTM is a locking groove design feature on the open end of Sidchrome spanners, preventing slippage and knuckle injury. - RINGSTOP GoThru System employs a patented ring within the geared ring end to prevent the spanner from slipping past the fastener, and is perfect for long bolts or positions when it is difficult to use both hands. 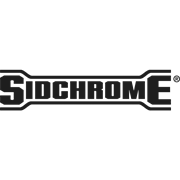 Sidchrome. Built to Last a LifetimeTM.